The original band version of Spoon River by Percy Grainger, edited by Dr. Carson and Mr. Naylor, available from Southern Music. United States Marine Band recording HERE! The 2A and Middle School competition centers are full for 2020. 2A and Middle School bands interested in "Comments Only" performances in other centers are still welcome to register! The website has a $1 per ticket service charge. Alternatively, you may visit the Coe College Box Office to purchase tickets with cash. You may also call the Box Office (319-399-8600) to have tickets held for you at Will Call. Will Call also accepts cash only. Held annually the last weekend in February, the Jazz Summit features appearances by jazz musicians from throughout the nation and has even, on four occasions, attracted international artists (2000 - Delbert Bernabela, Ivan Quandus; 1994 - Jim Mair, Canada; 1995 - Delbert Bernabela, Ivan Quandus, and Carlos Bislip, Aruba, and Victor Mestas , Venezuela; 1996 - Ignacio Berroa, Cuba). School jazz bands and enthusiastic jazz aficionados from throughout the Midwest flock to Coe College to get clinics from the guests and to hear them perform. The Jazz Summit was founded in 1992 and continues a tradition of jazz festivals at Coe College that stretches back to the 1970's. During this period, the festival has grown from an afternoon event with an evening concert, to a three-day festival encompassing clinics, workshops, a jazz band competition which accommodates almost 2000 musicians from ninety different high school and middle school jazz bands, an awards ceremony, and the Grand Finale concert featuring the jazz ensemble from Coe College and performances by the guest artist. The predecessor of the Jazz Summit was called the Horizons Jazz Festival and featured artists ranging from Ed Shaughnessy and Count Basie to John Scofield and Rich Matteson. Coe also has a long history of hosting jazz events in a concert setting. Guests have included Danny Barber, The Motion Poets, Richard Stoltzman, The United States Army Jazz Ambassadors, The Either/Orchestra, Bobby Shew, and Chick Corea with Bob Berg, John Patitucci and Gary Novak. And it's been a few years, but even the great Louis Armstrong has graced the stage of Sinclair Auditorium. 2003: Dean Sorenson, trombonist/composer; Bob Baca, trumpet; Eric Allen, saxophone; Todd Munnik, saxophone; Bob Dunn, guitar. 2002: Ray Blue, Saxophone; Kirk Garrison, trumpet; Charged Particles: Jon Krosnick, drums; Caleb Hutslar, keyboards; Andy Woodson, bass. 2001: Virginia Mayhew, Saxophone; Audrey Morrison, Trombone; Mike Parkinson, Trumpet; Dan Knight, Piano; Bob Dunn, Guitar; Ric Swanson, Drums; Ray Blue, Saxophone, HORIZON US Navy Jazz Group. 2000: Delbert Bernabela, saxophone; Bob Dunn, guitar; James Warrick, drums; Jae Sinnett, Percussion; Allen Farnham, Piano; Terry Burrell, Bass; Brent Sandy, Trumpet; Ivan Quandus, Bass; Ray Blue, Saxophone. 1999: Jeff Jarvis, trumpet; Ron Carter, saxophone; Len King, trombone; Valerie Nicholson, piano; Bob Dunn, bass and guitar; Dave Bayles, drums. 1998: Steve Wiest, trombone; Brent Sandy, trumpet; John DeSalme, Jr., saxophone; Reggie Thomas, piano; Bob Dunn, bass and guitar; Randy Kuehn, drums. 1996: Byron Stripling, trumpet; Scott Bliege, trombone; Mike Kocour, piano; Ignacio Berroa, drums; Doug Talley, saxophone; and Bob Dunn, bass. 1995: Delbert Bernabela, saxophone; Victor Mestas, piano; Ivan Quandus, bass; Carlos Bislip, Jr., drums; Mike Parkinson, trumpet; and Ron Carter, saxophone. 1994: Jim Mair, saxophone; Ted DiSanti, trumpet; Jim Warrick, drums; and David Dunn, bass. 1993: Frank Mantooth, piano; Kim Park, saxophone; Tony Garcia, trombone; Paul McKee, trombone; Larry Kohut, bass; and Phil Gratteau, drums. 1992: Byron Stripling, trumpet; Lou Fischer, bass; Shelly Berg, piano; Alan Lawrence, drums; James Warrick, drums; and John Wojcik, trumpet. 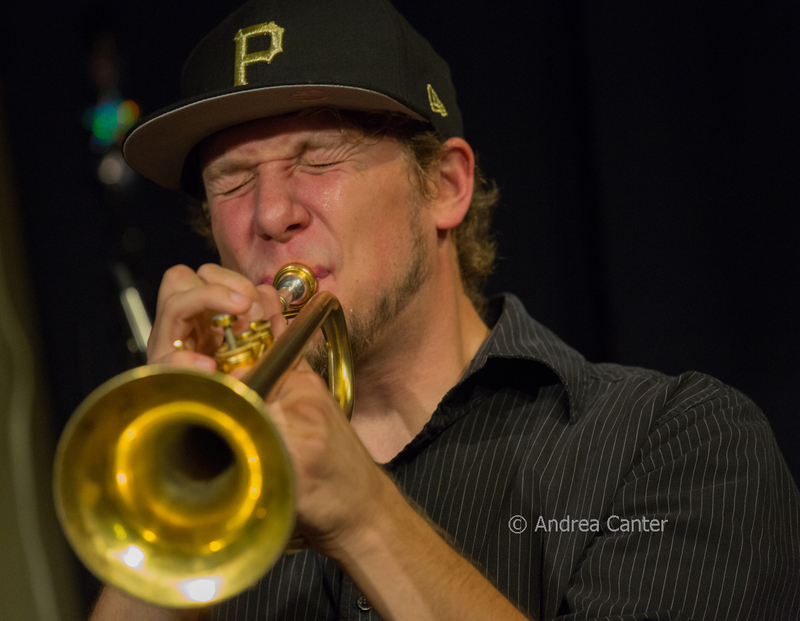 The Coe College Jazz Summit is the place to be for Jazz at the end of February. 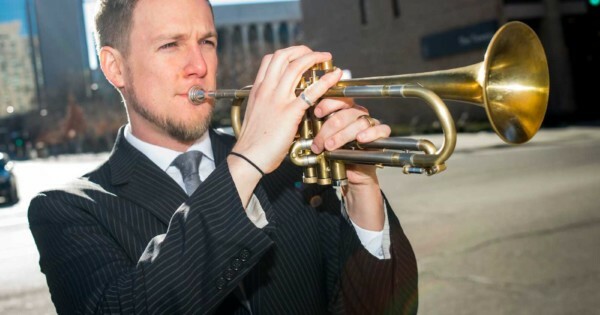 Jazz artists from around the nation convene to work with high school and middle school jazz bands from throughout the state and surrounding region, then demonstrate their own expertise in concert with the Coe College Gold Jazz Ensemble. Your students will receive a clinic on your competition repertoire from one of the fine Jazz Summit clinicians, as well as have the opportunity to attend instrument clinics. Concert tickets are FREE when ordered by mail before December 1. Plan now to schedule your band for the Coe College Jazz Summit! Copyright © 2019-2020, Coe College. All rights reserved.